Here's your invitation to the country life! 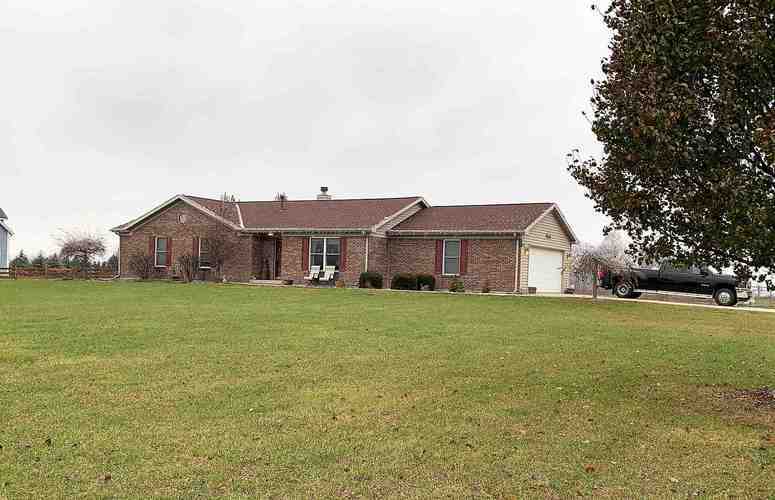 A newer TK built ranch with 3 bd/ 2 bath sits on over 5 acres and thats just a starting point. Included is a huge pole barn that is completely insulated and heated checking off everything on that want list. Soaring ceilings, gorgeous fireplaces, and a 4 season sun room make this one just perfect. Don't miss out! Directions:From Cross and Scatterfield, head east on Cross St, continue onto 400 S home is on the left. West side of the 69 overpass.